Today, every business, no matter how big or small it is, is going global. With the increasing facilities of internet and online shopping, companies in every nook & corner of the world are coming closer. People find businesses akin to their own even in the remotest parts where physical reach is, perhaps, not possible even today; but businesses happen… may be a small service, but that opens up a Pandora of opportunities for future. Traditional education which was earlier aimed through limited physical boundaries & resources, is probably, not adequate to address growing needs of different geographical knowledge. To do business in a different country one needs to understand their culture, language, behavior, values and a lot more. One can assume safely that the whole world has become a single bazar today and people sitting in different corners of the world are like sitting in different shops in the bazar. 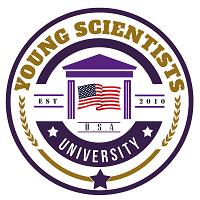 YSU is constantly in pursuit of making a global network of studies where institutes, colleges and universities from different corners of the world are partners in exchange programs, exchange curriculum and collaborative studies. YSU has been constantly strengthening its courses & their proficiencies in a collaborative manner with the global education policies & curriculum which students must take advantage of to stand out in this competitive world as global leaders. YSU has its presence and partnership in almost all continents in diverse learning environments which comes to the students as a bouquet of assorted studies.